This week instead of going to the spa, we’re whipping up spa inspired Easter cuisine that will surprise your guests & tingle their taste buds. Justin Marx , CEO of Marx Foods, whips us up a meal with an ingredient he actually foraged stinging nettles! 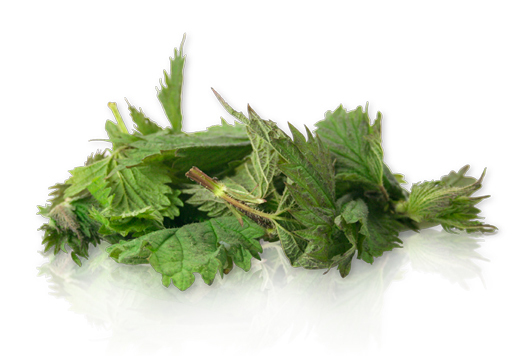 Stinging nettles are not only delicious and nutrient rich (high in calcium, iron, beta carotene and potassium) and great for anemia and allergies, but they also make some fun home beauty treatments. Blanch nettles, by putting in a pot of salted boiling water for 90 seconds (wear gloves, because stinging nettles do sting!) Drain and squeeze water out. Rough chop, then add all ingredients above into a vita mixer or blender. Add olive oil until reaches top of nettles and blend. Scramble the eggs adding in pesto. 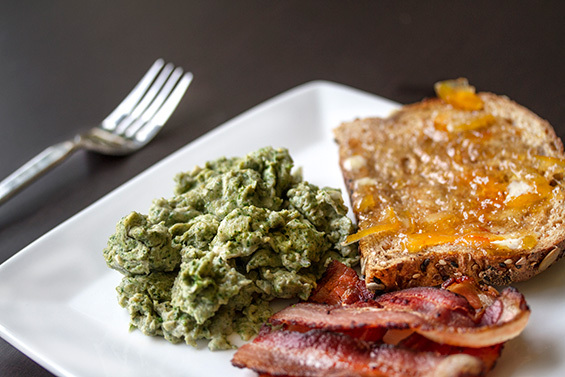 (per two eggs, a heaping tablespoon of pesto.) Scramble per usual and ta da! Live long and spa often y’all!